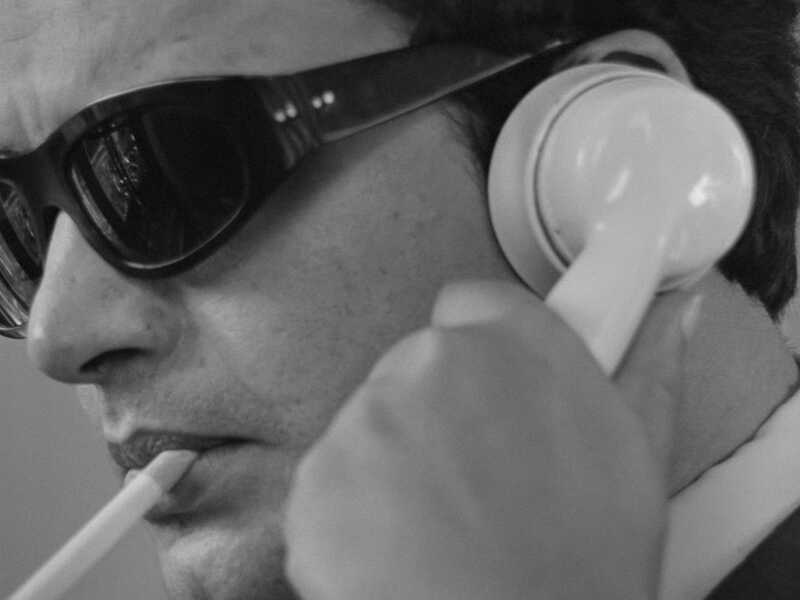 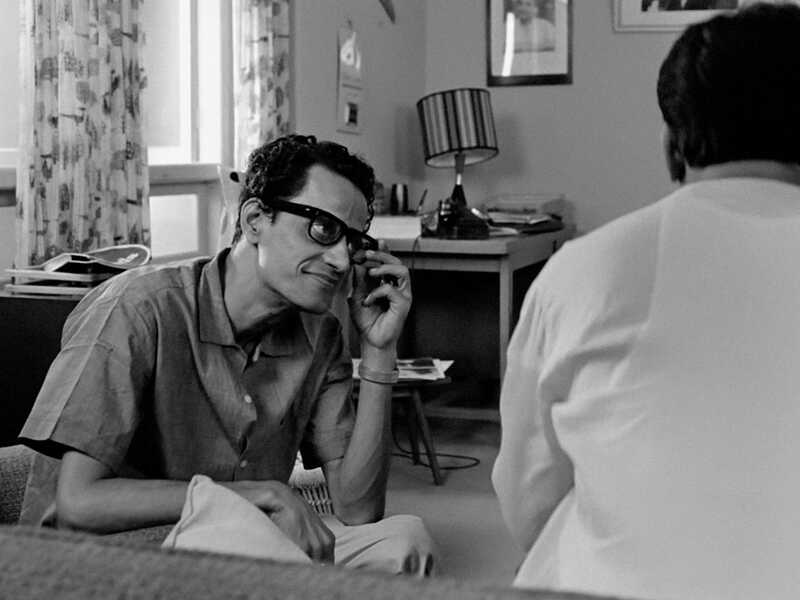 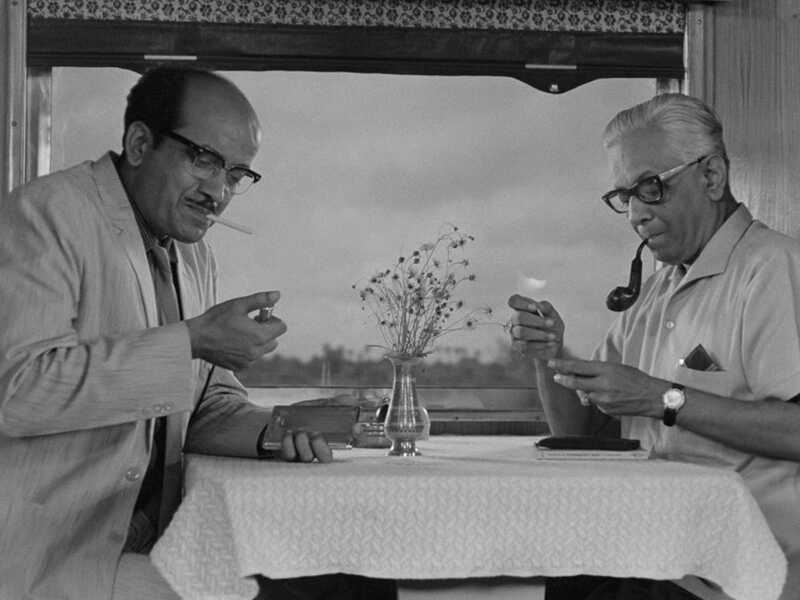 In this psychologically rich character study, written and directed by Satyajit Ray, Bengali film star Uttam Kumar draws on his real-world celebrity to play Arindam Mukherjee, a matinee idol on the brink of his first flop. 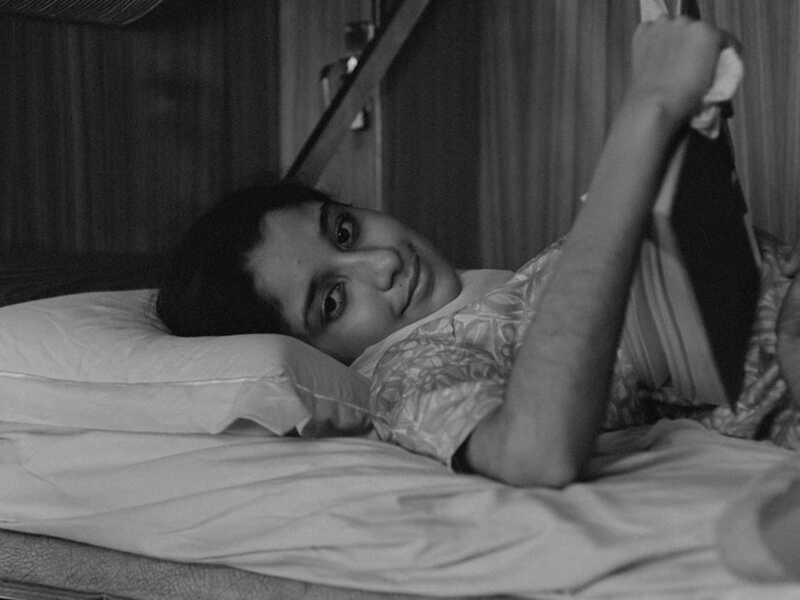 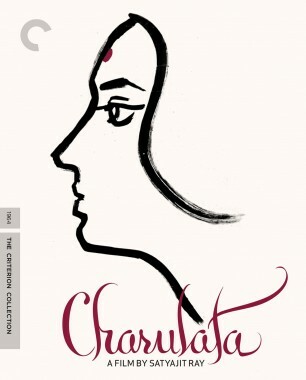 When Mukherjee boards an overnight train to Delhi to accept an award, a journalist (Sharmila Tagore) approaches him seeking an exclusive interview, which initiates a conversation that sends the actor reeling down a path of self-examination. 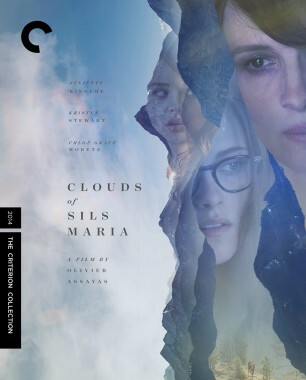 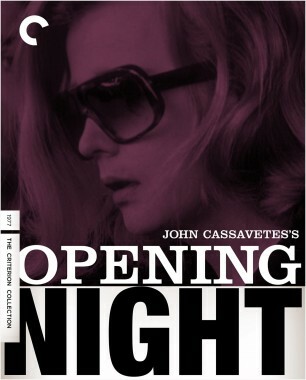 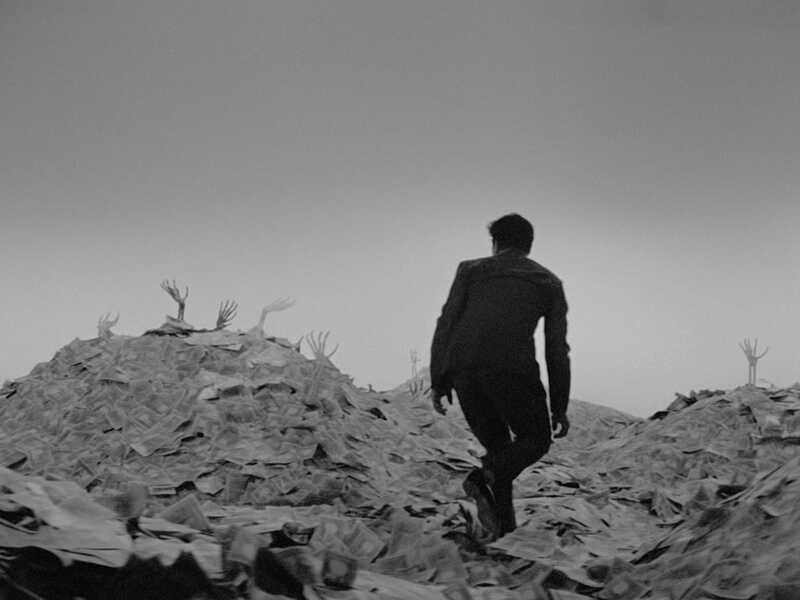 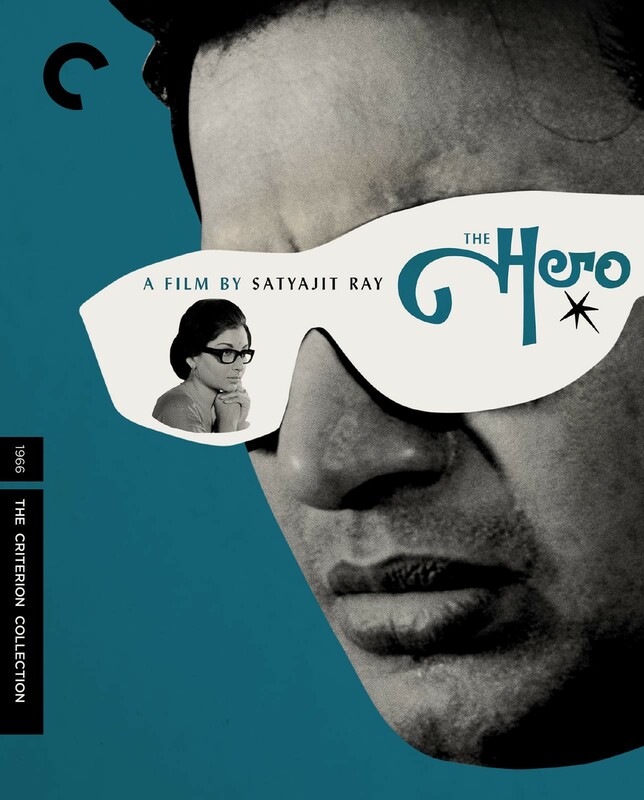 Seamlessly integrating rueful flashbacks and surreal dream sequences with the quietly revelatory stories of the train’s other passengers, The Hero is a graceful meditation on art, fame, and regret from one of world cinema’s most keenly perceptive filmmakers. 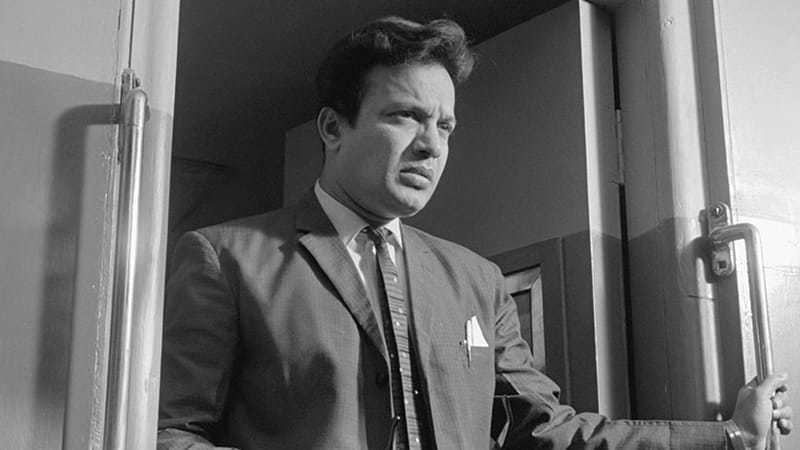 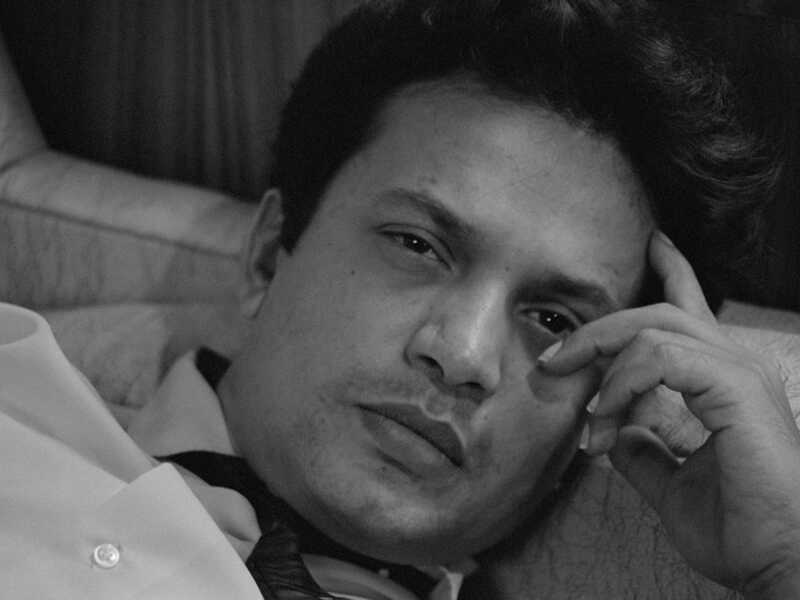 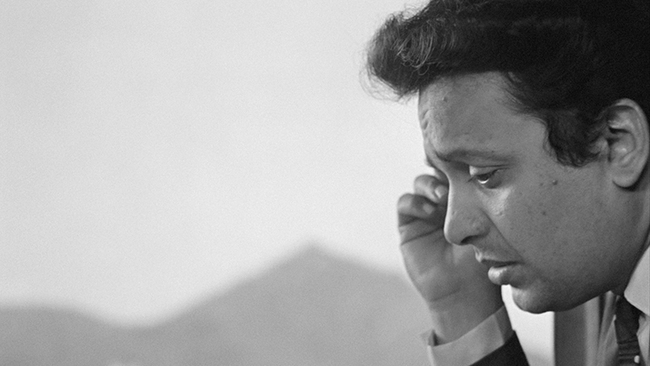 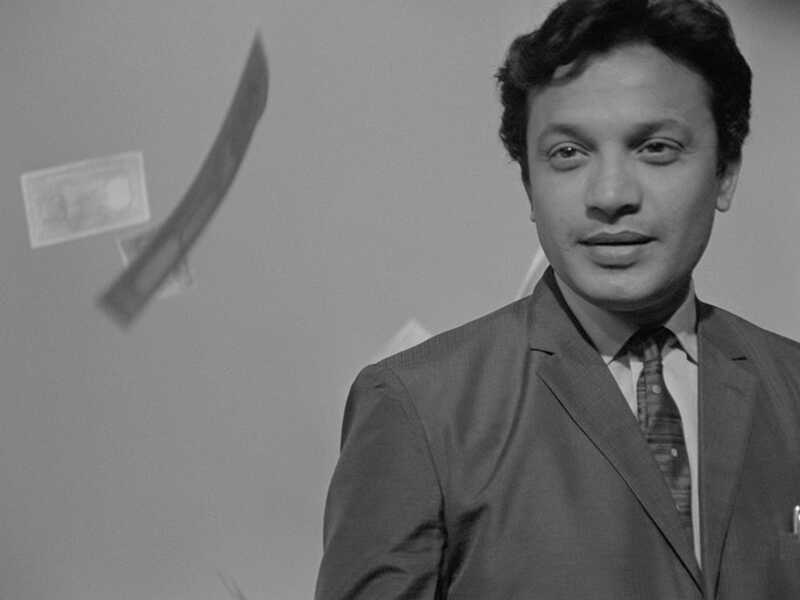 Film scholar Meheli Sen discusses the particular qualities that made Bengali actor Uttam Kumar a star and the perfect leading man for Satyajit Ray’s The Hero.